The Circuit de Catalunya has hosted the Spanish Grand Prix since 1991. However, numerous other circuits preceded it, including Jerez, Jarama and Montjuic, (with the latter two alternating as the venue in the 1970’s). In 1981, Gilles Villenueve managed to hold off a train of four cars behind to take his sixth and final race victory. It was the second closest finish in F1 history. Sunday’s race will be played out over 66 laps. Pastor Maldonado took his first and only victory at the circuit in 2012, after a race long, strategic tug-of-war against Ferrari’s Fernando Alonso. Mercedes have taken two consecutive pole positions in Spain, with Nico Rosberg prevailing on Saturday in 2013, while Lewis Hamilton edged out his teammate last season. The Hamilton pole was duly converted into a Hamilton victory, but as so often was the case in 2014, Nico Rosberg challenged his eventual title rival throughout. Controversy surrounded the result, however, as it later emerged that Hamilton had used a fuel map which the team had prohibited, in order to hold off his fast charging teammate in the latter stages – an act which could be attributed to the tension surrounding the Monaco Grand Prix weekend between the Mercedes drivers. Just when it seemed as though Kimi Raikkonen was about to become my first correct top step prediction of the season in Bahrain, the Iceman ran out of laps and a limping Hamilton took yet another in an ever growing list of race wins. 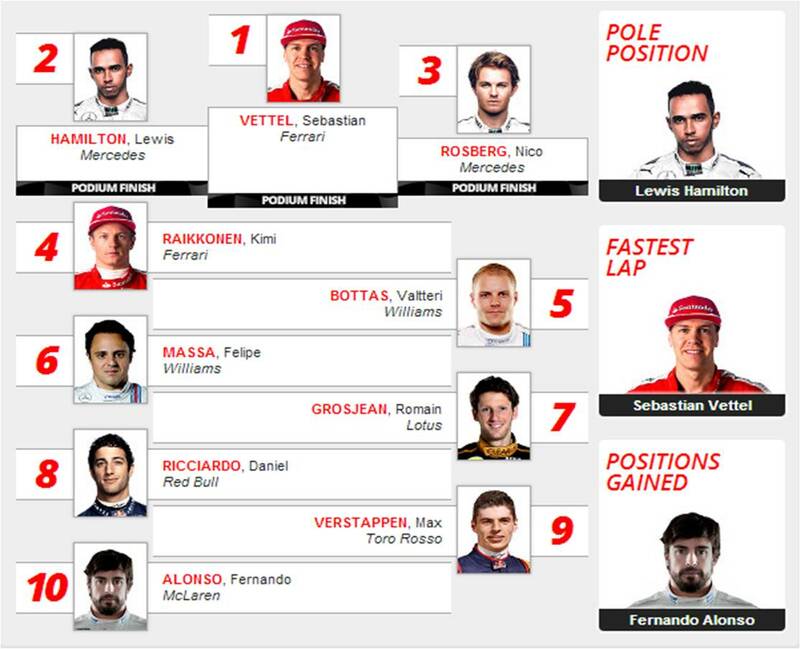 Perhaps I should bank on another win for the Brit this weekend, as I look to improve upon a rather lackluster 29 points haul recorded three weeks ago in Autosport’s GP Predictor, however, being bold nearly paid off on that occasion, and once again, I’m placing a Ferrari at the top of the tree. In many regards, this could be a Ferrari weekend. The chosen tyre compounds are medium and hard, with the Circuit de Catalunya’s high speed nature always proving tough on rubber. A two stop strategy will surly be the fastest route come Sunday, meaning that the race could play out in a similar manner to that in Malaysia. The only reason that Kimi Raikkonen is off of the podium according to my predictions is that Mercedes will always be quick. Ultimately, the top four here are of an inter-changeable nature. Elsewhere, I expect Max Verstappen to continue the form which has provided vindication for his meteoric rise to the upper-echelon of motorsport, with more points this weekend. In addition, look out for McLaren this time out. The MP4-30 will be donning a “stealthy” new look and with the European upgrade packages landing throughout the paddock, it could be said that McLaren have the most to gain. It would be somewhat fitting for the Spaniard to take his maiden points of the current campaign at his home outing. 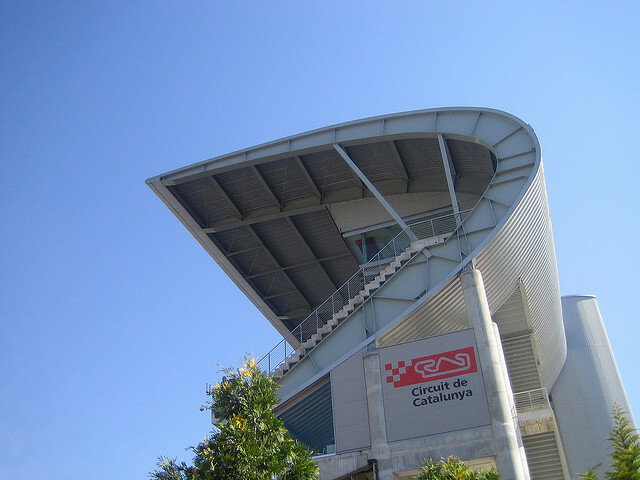 Image Credit: "Grandstands at the Spanish Grand Prix"